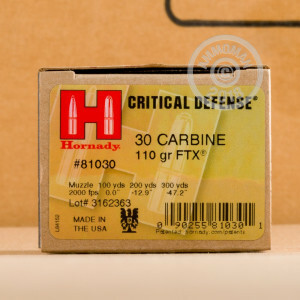 This classic caliber has been optimized for self-defense by the awesome engineers over at Hornady. 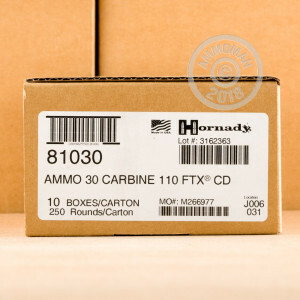 This 30 Carbine ammunition features a 110 grain FTX bullet that was designed to expand upon impact and deliver 15" penetration in gel tests. This round features muzzle velocity of 2000 feet per second and energy of 977 foot pounds when fired from a 20" test barrel. 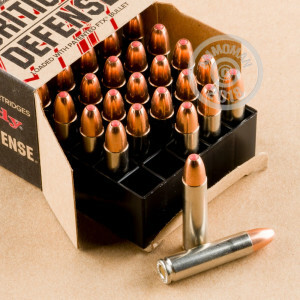 Each round features a reloadable, boxer primed, nickle-plated brass case. Remember, all Ammo Man orders over $99 ship for free, so pick up a case of this self-defense ammo today and always be prepared!